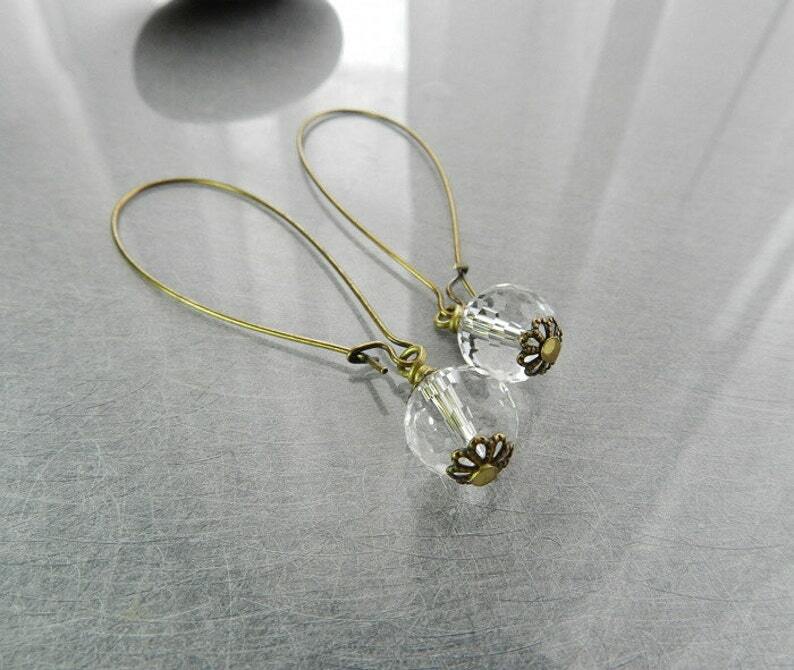 These earrings are made of faceted crystal quarts and brass. They are casual yet really elegant. I really love this style earrings. The entire length of the earrings is 2 1/2 inches, and the dangling crystal quarts are 10mm in diameter.